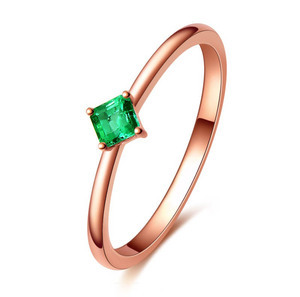 Contact US princess cut emerald gems silver stone ring Material Environmentally friendly copper. Here just some part of models for your reference. Production process 1.Are you direct factory wholesale9 Sure, we are direct factory manufacture more than 10 years experience . Pls add our wechat: MEDBOO , any style we can make it for you, just providing samples or pictures, gold jewelry 1pc MOQ, silver jewelry 30pcs per style MOQ, welcome to cooperate with us! Our factory is specialize in making gold and silver natural gemstone jewelry for more than 15 years, products including gold and silver inlaid natural gemstone jewelry and natural crystal beads jewelry, factory about 3000 square meters, located in Panyu district Guangzhou China, which has a famous name of "The Worlds' Jewelry City". We have senior design team and professional jewelry making team, our products are selling all over the world, and we have OEM manufactured many famous brands jewelry for wholesalers and brand shops. Yiwu Lemi Jewelry Co., Ltd.
) Jewelry (such as : gemstone rings , gemstone earings , pendants , chains etc. 3.We have 15 years experience of marketing 4.We have a team of testing gemstone's experience over 15 years. Because price often varies due to many factors such as different material,size,quantity. Wuzhou DS Jewelry Co., Ltd.
Shanghai YANYI Jewelry Co., Ltd.
Wuzhou Love Fire Gems Co., Ltd. Detailed Images Packing & Delivery AS PER BUYER DEMAND. Wuzhou Holycome Jewelry Co., Ltd.
NATURAL EMERALD SILVER RINGS, "100%NATURAL"
The band of the ring is encrusted with multiple natural diamonds of .25 ct. The ring is a result of excellent craftsmanship combined with modern style. This ring is part of our new engagement ring collection that includes a total of 16 rings. Yiwu Aipeng Trade Co., Ltd.
Dear must know: quality and materials work is the core. 5.Q:Do you offer samples9 A: We are honored to offer sample. We represent the sample of our services, absolutely let you satisfied. 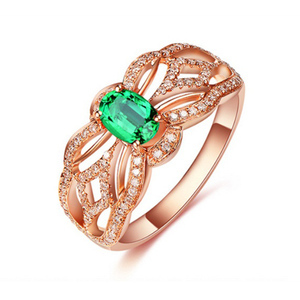 Alibaba.com offers 3,891 emerald ring gems products. About 85% of these are loose gemstone, 10% are rings, and 7% are silver jewelry. 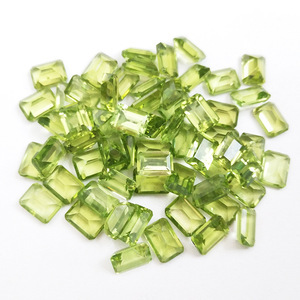 A wide variety of emerald ring gems options are available to you, such as free samples, paid samples. 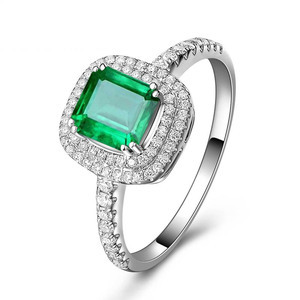 There are 3,769 emerald ring gems suppliers, mainly located in Asia. The top supplying countries are China (Mainland), India, and Thailand, which supply 90%, 7%, and 1% of emerald ring gems respectively. 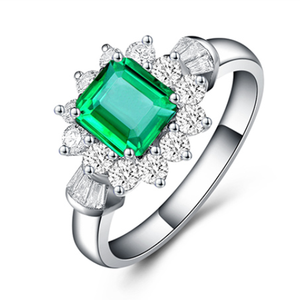 Emerald ring gems products are most popular in Eastern Europe, Western Europe, and Southeast Asia. You can ensure product safety by selecting from certified suppliers, including 352 with Other, 4 with ISO9001, and 1 with BSCI certification.